It seems like the last couple of weeks has been mirrorless mania with big announcements from Nikon, Canon and even Fujifilm. People have been asking me if and when I would switch to a mirrorless camera, and up until this point, I really have not seen the need to do so. For the type of photography that I do (a little bit of everything from events to portraits, to sports and wildlife), I still feel that the DSLR cameras are a better choice. In the last couple of weeks, I have seen a ton of hype about the new Nikon Z series cameras and all day yesterday my inbox was flooded with information about the new Canon EOS R mirrorless camera announcement. Yesterday was a big day for Canon, with the announcement of their first full frame mirrorless camera, and I see this as a tease for what is coming in the future. When I say that this is a tease, I don't mean that these cameras are not good. I am saying that the cameras may be amazing for other people, but for me being a professional photographer, I need a little more to make the jump. * It has the same 30MP sensor as the Canon 5D Mark IV in a smaller camera body. * It has more than 5000 focal points, which I really want. * The smaller size and weight of the camera and new lenses would be welcome, especially when traveling. * Canon has come up with a control ring on the lens which can be customized. A very cool idea! * The new RF lens mount allows for faster focusing and more communications between camera and lens. * Shooting events, I welcome the ability to shoot with no shutter noise at all. * The camera only has one memory card slot. This is a deal breaker for me. I ALWAYS shoot RAW images to both card slots in my Canon 1D X Mark II and Canon 5 D Mark IV cameras. I am capturing images for paying clients, and I need to know that I have their images safely on the memory cards. Spending 12 years in the memory card business, I know what can go wrong with the cards. And even though I am using ProGrade Digital cards and readers now, which are the highest quality, I still don't want to rely on only one card to store my photos. 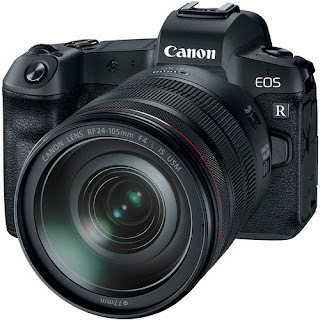 * The Canon EOS R cameras are not weather sealed like the bigger DSLR cameras I use today. That may not matter for event photography here in Northern California, but it definitely could be an issue when I teach wildlife photography in Costa Rica. * The interface of most mirrorless cameras is vastly different from what I am used to. Since the cameras are smaller, there is less room for buttons and dials. And I use those buttons and dials on my cameras all the time and do not want to be hunting through menus on a screen to change a setting. * The EOS R can capture up to 8 frames per second, which is great, but I am used to the Canon 1 D X Mark II which captures 14 fps. * People are excited that the new EOS R uses the familiar LP-E6N battery. But this battery only provides enough power to take 430 shots (according to the specs). I am used to having a larger battery that will let me shoot thousands of images per charge. I am excited to see that both Canon and Nikon have jumped into the full frame mirrorless camera race. Up until this point, Sony has been making the most noise in this space, with other companies like Fujifilm and Olympus holding their own as well. But it was only a matter of time before the big guys got into the game. Now the big question for me is: What is next from Canon? My fingers are crossed, and hope to see a higher-end pro version announced next. I agree with your comments. I have 2 Canon 1dx's and I did add the Sony a7rIII into my bag (love it). 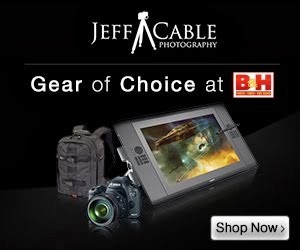 I use it for wide angle, landscape, and travel. The Canons are for sports. I don't see Canon being there for a couple years to catch up to the Sony. 1 card slot send silly, even though I only use 1 and I didn't see a toggle/joystick? I use that thing all the time on both the Canons and the Sony. Photography workflow - Why is it so important? Hands on with the new Canon EOS R camera!